Looking for something fun, festive and family-friendly this November? Then look no further than Durban’s favourite Jonsson Kings Park Stadium. It’s all happening at The Santa Run powered by The Hub, on Sunday the 25th of November, as friends and family come together to enjoy KZN’s newest and freshest Christmas themed 5km experience. 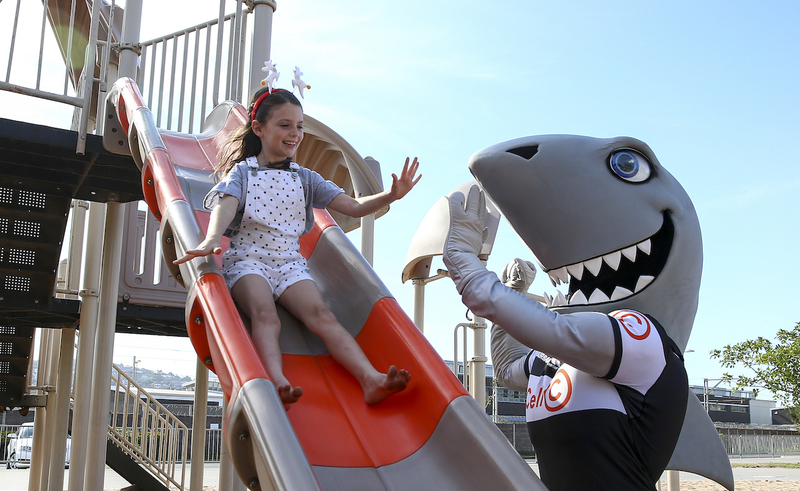 The race kicks off on the fields outside the beloved stadium and makes its way in and around the Kings Park precinct, including up the spiral walkways, through the infamous Sharks changeroom and out onto the playing fields. Along the way, the route is dotted with fun-filled experiences and activities, so participants can expect so much more than just a 5km route. Some of the exciting things to look out for include a giant slide, a tunnel of lights, inflatable obstacles, a LIVE marimba band, and snow… in Durban… in the middle of summer! Fun for the whole family. Exactly one month before Christmas, the Crafty Christmas Fair offers a delightful alternative to the bustling, busy shopping malls, with a selection of merry crafts. Think Christmas baubles, handmade Christmas themed gnomes, mice and angels, children’s clothing, ceramic items, crockery, jewellery, eco-friendly products, artisanal Christmas themed treats and a build-your-own gingerbread house station. Durban. 251018. The inaugural edition of the Santa Run is to take place on November 25 at Growth Point Kings Park Stadium (outer fields). Its a day you may never forget, memories you may never lose or gifts you may never want to share will available at the Santa Run. Picture Leon Lestrade. African News Agency. ( ANA ). The Santa Run takes place on Sunday the 25th of November at the Jonsson Kings Park Stadium in Durban. It is open to people of all ages and fitness levels, and is by no means a competitive race. So trade in your racing shoes for your Santa Hat – which you’ll receive in your race pack, along with a R50 voucher to use online when you purchase something from www.thekidzone.co.za. Tickets for The Santa Run are available via webtickets.co.za starting from R80, and parking on the day is safe, secure and FREE to all entrants!